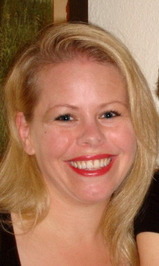 Hillary E. Peak is the author of Wings of Hope - Today she stops by to have a chat with us! Thanks for joining us today Hillary! Tell us about your inspiration for Wings of Hope. When I was pregnant, I really missed my father. I started thinking about all of his stories. I wanted to gather them to share with my own child. Once I started, the inspiration of the fiction portion just came together for me. Did you have any road bumps in the story process? Interestingly, the big bump is how upset my mother was with the Jules character (who isn't me at all). My mother was not able to see past the non-fiction portion to the fiction portion. She thought people would see me as Jules. Jules struggles to deal with the news of her dads illness - was this hard for you to write? Very hard. Although my father died from a different illness, it was still drawing from that place of sadness. Any future books in the works? Yes, I just finished a legal thriller called, Justice Scorned. Excellent! We will have to keep our eyes and ears open for that! Now a couple of random questions! Any writing habits? I just fit it in anywhere I can, since I also have a "real" (ie 9 to 5) job. Hobbies? Other than writing! I love yoga. Favourite book (other than your own of course! ): I can't pick just one, but I love Bel Canto, Harry Potter, The Golden Compass, Snow Flower & the Secret Fan, The Queen's Fool, Water for Elephants, and The Guernsey Literary and Potato Peel Pie Society. Well thank you so much for stopping by today, it was great chatting with you! Wings of Hope is available to buy on Amazon, Barnes and Noble and The Book Depository! "The bond of a father and daughter is special. When Jules father asks her to come be stay with him because he's terminally ill, she goes for the remarkable opportunity to really know her father. She never dreamed he had liberated a concentration camp, dealt cards to Bugsy Siegel or saved the life of a Black Panther. Wings of Hope takes you on a road trip through the memories of a man making peace with his life through his conversations with his daughter. Teaching her that death is sometimes the most heartbreakingly beautiful part of life. Hope is the last gift of a father to his daughter--the power to reach for her dreams." 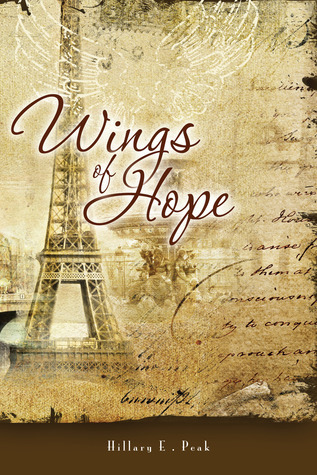 Wings of Hope is a heart-wrenching book about a daughter spending time with her father is his last days of his illness. This book isn't overly long, however it is an emotional ride from start to finish. At the start of the book, Jules learns of her father Solomon's terminal illness, and leaves San Francisco to be with him in New York. She hopes to learn more about her dad's past, something he was never really open with. What she learns is more than she could ever expect. Her father tells his story, which includes amazing feats such as surviving World War II, going to Medical school in Switzerland only knowing a few words of French, writing a physiology textbook which is still being used 50 years on and much more. All the while, Jules meets someone in Paris, discovers what dreams truly mean and watches her father's health slowly deteriorate until death. The story will take you on a journey of marvel and leave you breathless. So grab a copy quick! !